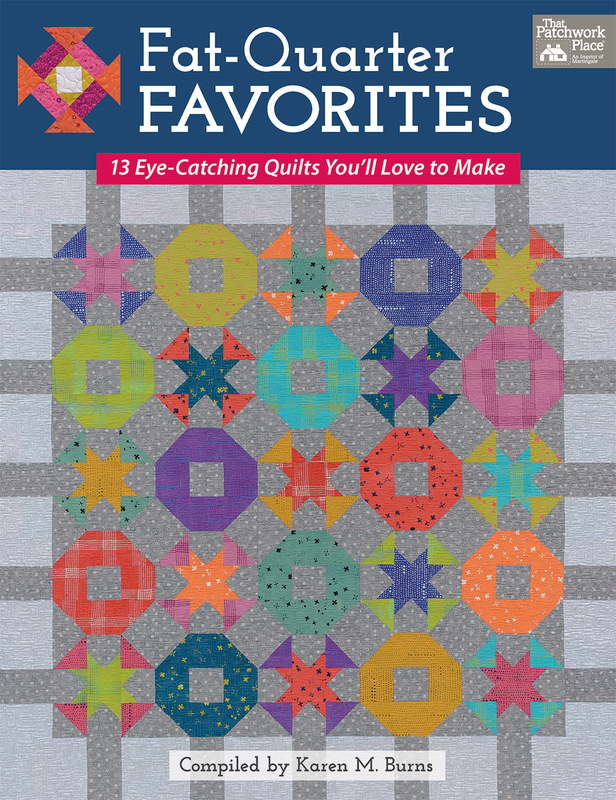 Fat Quarter Favorites is the latest compilation book to be released from Martingale. I am SO excited to be included alongside some of the industry’s most talented quilters. Step In Time by Samantha Dorn @aqua_paisley -that’s me ;). Having a quilt pattern in an actual book is a dream come true. It feels like the first step to a much bigger dream! For as long as I can remember I have had romantic notions about writing a book. For a little while in my early 30’s I even toyed with the idea of exploring fiction writing. But then I realised when it came to putting words on a page, I wasn’t really a fiction sort of girl! Yet, the thought of being able to use words to inspire, motivate and teach is something that remains with me still. It’s why I created this space. Perhaps one day the book I want to write will come to be, but until then having my work on display within the pages of a book that will grace the shelves of so many quilters all over the world makes my heart happy, and I am so glad I get to share that excitement with all of you!! is available in paperback and as an eBook from June 15. 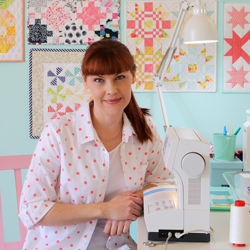 For your chance to win your own eBook courtesy of Martingale leave me a comment and let me know what your one big quilting dream is right now. I will choose a random winner on Monday. And speaking of Monday, if you would like to know more about the inspiration and story behind my Step In Time quilt, drop back then :). Disclosure: This post is in association with Martingale and the launch of Fat Quarter Favorites compiled by Karen M. Burns. 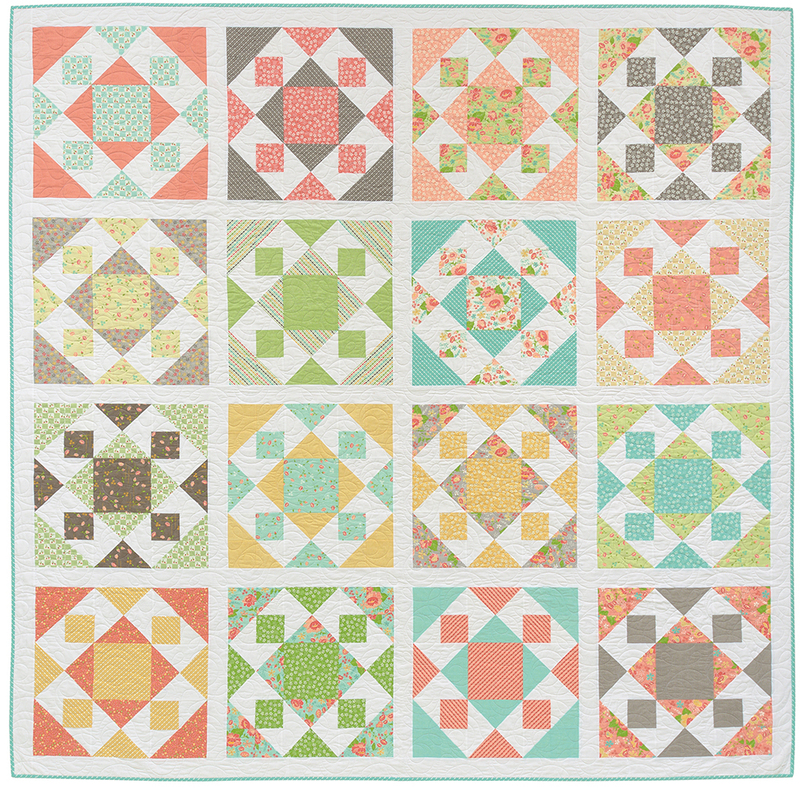 I really want to learn how to do Dresden blocks. I have a great if any curves. But I am so excited for the possibilities. My big quilting dream is to be able to make a full time living from this passion of mine! First step in that dream was setting up the Quilt Barn (tick! ), second step is a long arm quilting machine! My quilty dream is to design patterns and continue “working” in the industry. My dream is to make an actual dent in my stash of fabric…instead of growing it!! Perhaps new quilt ideas would help!! I would love just to sew up all the fabrics I have! Of course it would help if I didn’t keep falling in love with new collections..
My quilting dream is to get a subscription box of fabric. My big dream for quilting is to continue on with the addictive fun in creating many quilting items for many years. I wish to learn how to longarm and then buy one and quilt all the quilts! And, have an Etsy shop! And, design patterns! It all starts with a dream, right? Love your quilt! Congrats to you for jumping in and making your dreams come true!! My quilting dream, other than to finish my very first quilt I just started, is to be taught by some of my favorite quilters I stalk on Instagram and Pinterest, which includes you, naturally. My dream is to finish all my started projects I have been compiling a list and there are so many but in the past few weeks I have made some progress. So I am dreaming big. i love your quilt in the book, also the colors you choose to make it from. my dream, is to have even half the time i need to turn my quilty ideas into quilts! thank youfor the chance to win such a tantalizing book! Congratulations!!!! Great job! 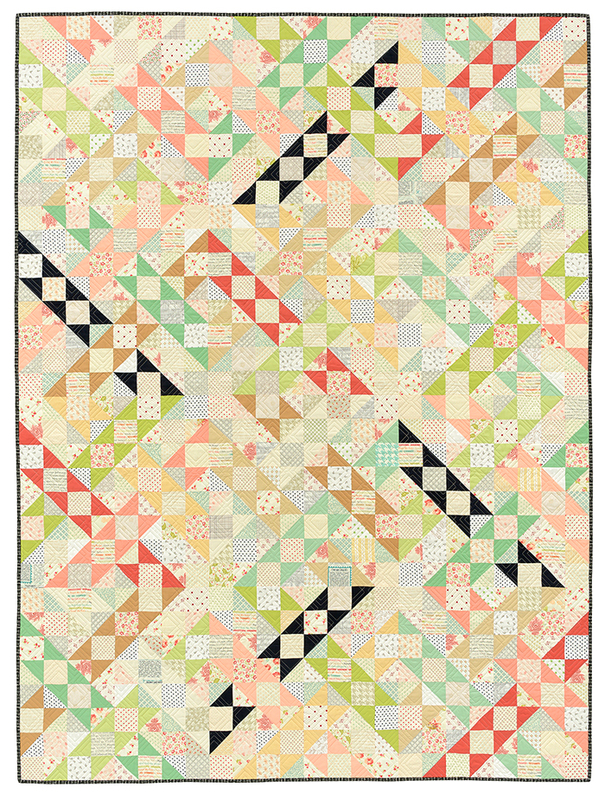 I could be boring and say finishing a few quilts are on my list but I really want to make a New York Beauty quilt! Been admiring them from afar and I think it is time to take the plunge! My quilty dream is to be able to quilt a king size on my domestic machine. Congratulations on the book. My biggest quilt dream right now is to be able to actually sit in my sewing room and crank out the unfinished projects that I have !!!! My dream is to make a living out of quilting and live comfortably. 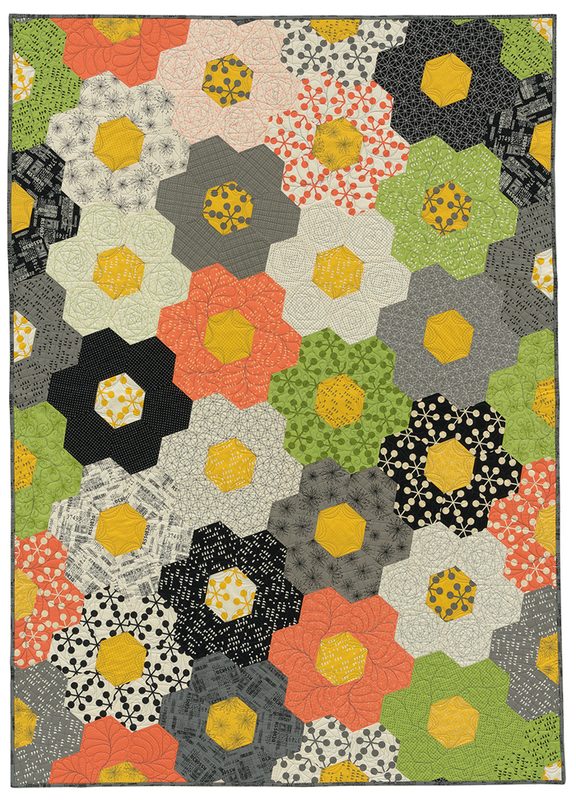 More realistically is to make a Judy Niemeyer medallion quilt. What a great book and start to fulfilling your own dream! My daughter is getting married and I hope to make a king sized quilt for them. They are kind of picky so Im being challenged! My quilting pipe dream is to be a fabric designer! I have a lot of work to do! Beautiful patterns! My big quilting dream right now is to own a long arm. My dream is to hand piece and hand quilt an entire quilt. Not sure it will ever happen! My quilting dream is to finish the quilts on my list (where I already have Fabric). My dream is to one day have a space big enough to work and show off my beautiful and organized stash. I see all those beautiful spaces on IG and Pinterest. My heart just swoons! I so understand the introvert life and cannot help but be inspired from someone else!! Love that you are published!! My dream is to finish my many quilts in progress and then to begin a wedding ring quilt. I am on my way. I just got back a top i started many years ago from my quilter and just finished another top and I am now working on putting the borders on a block of the month that I had completed last fall. I have to wait until I am inspired on how I want to finish the quilt and am usually happy that I wait. 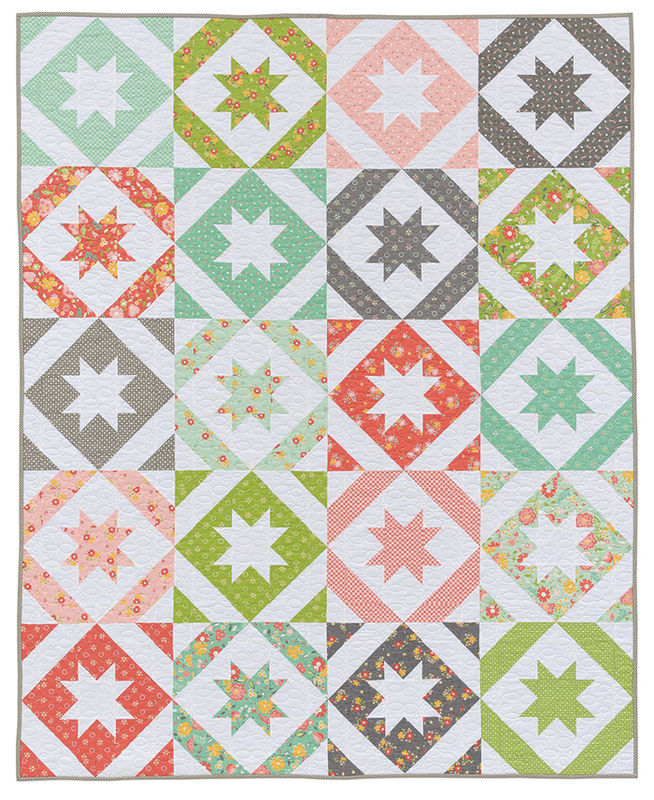 My quilting dream is to learn to create my own foundation paper piecing patterns. My head is filled with ideas to piece. Congratulations on your dream! Right now, my dream is to find the right fabric for a quilt I am making. Not all purples play well together!! My quilting dream is to take off the training wheels and design my own quilt. I have read and read and looked and taken in so much inspiration, now I want to let myself have a go at it. My Quilting dream is to buy a long arm machine and start Quilting quilts for others! My quilting dream is to retire in two years from teaching and quilt my days away! Also to live long enough to sew all my fabric into quilts! Oh wait, that would mean that I would have to stop buying fabric…NOT going to happen. Thank you for your generous for the opportunity to win this beautiful book. My biggest quilting dream is to be a long-arm quilter. I quilt my own quilts on my domestic machine but some day I would love to have a long arm machine and make long arm quilting my business. I’d love to write a book as well. I have already started on ideas. 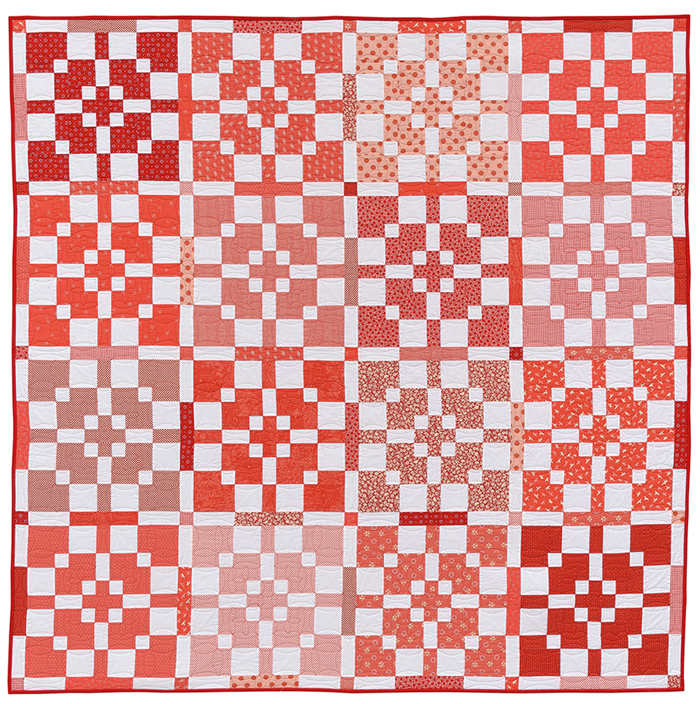 My dream right now is to buy a mid- or long-arm quilting machine – I have a HUGE stack of UFOs to quilt! My quilting dream is to one day have my very own long arm machine, so I could finish quilts easier than on my regular machine. The ultimate dream is to one day own my own quilt shop. My quilting dream is to win the lottery and buy a ton of fabric so I can make every quilt I want lol. My big dream is to become patient enough to learn and master( or at least be competent at) EPP. I love the hexis and the fussy cutting possibilities, but I’m really lacking in patience right now! My big dream is to make more quilts. I want to make a special quilt for all my family and close friends. Seven years after breast cancer surgery I’ve begun seriously quilting again. My dream is to complete a quilt for all 12 of my family members within the next seven years. I would like to make a double wedding ring quilt! This sounds so crazy but I want to make a yo-yo quilt. Recently I found a pillow made with yo-yos by my husbands grandmother. It is in disrepair and needs TLC. The yo-yos make me smile so much! I am really enjoying all the vintage style stuff now. My dream is to learn how to quilt my tops on my domestic machine. Just need to plan the time to practice so I can finish all the UFOs! I want to learn how to make curves. They are hard. Beautiful quilts! My quilting dream would be to finish more quilts!